Picking a favorite barrio, or neighborhood, in Buenos Aires, Argentina, is like picking a favorite child. Each one has something special and unique about it. Each one I have created memories to last a lifetime in. However, there are some that stand out amongst the rest and Palermo Soho is definitely one of them. Compared to other barrios, Palermo Soho does not have much of a history. This is because it is a recently new sub-neighborhood created within the older barrio of Palermo. In the 1980’s, the area’s combination of cobblestone tree-lined streets and bohemian vibe was recognized and thus it was renamed after the entertainment district of SoHo in New York City. 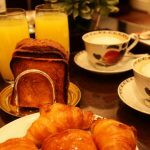 I have stayed in several Palermo Soho hotels during my trips to Buenos Aires. I even filmed a video there! During this trip, we had rented an apartment in Palermo, so we were only just a short walk away from the center of Palermo Soho. Before we strolled around the barrio, we stopped at a charming café for some lattes and dessert. I chose a dulce de leche crepe, while my husband chose a chocolate lava cake. Of course, we stole bites from each other. In Palermo Soho you will discover that amidst all of the low rising buildings there are trendy bars and cafés, tons of little designer boutiques and art galleries, and a great selection of restaurants. Palermo Soho is best described as creative, chic, and cool. It is quite easy to lose several hours of your day simply people watching and window shopping in this barrio. The best area for wandering is between Plaza Serrano and Plaza Armenia, which is a park bordered by the streets of Costa Rica, Nicaragua, Malabia, and Armenia. If you have traveled to Buenos Aires before, do you have a favorite barrio? A bit touristy but I love the rustic feeling of San Telmo and Palermo is a big favourite as well. The shops there are to die-for (usually not in my price range unforunately!) Love the picture with the writing on the wall, the focus is lovely. Yes, I agree on all points, especially the shops being so expensive haha! I like the “Te Amo” pic as well. Thank you!!! Thank you so much! Travel safely and enjoy the crepes. YUM!!! 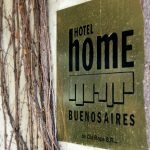 I was SO happy we got to stay here when we visited BsAs – even if we didn’t love our hotel. Gorgeous photos as always! Thanks gorgeous! What hotel did you stay at? I can’t remember! Every hotel we’ve stayed at in Palermo Soho we’ve LOVED!!! We want to rent an apartment there next time, but they are hard to find. Thank you sweetie! Yes, it really is the most lovely and charming neighborhood!!! beautiful shots! I miss this city!! Amazing photos! You’ve reignited my desire to go to Buenos Aires! Thank you and wow yes!!!!! I’ve never been, but of course now I really — really! — want to. As always, I love the perspective from your photos. You have a way of capturing little glimpses or vignettes that makes me feel like I was there. What a beautiful compliment, thank you so so so much!!! I love that it was named after SoHo in NYC too!!! SoHo is my favorite neighborhood in NYC as well. Hugs! I can see why this is one of your favorite neighborhoods. Cool looking area and great pictures to highlight them. Another place I would love to visit one day! Beautiful peek into the city Andi! Thank you sweetheart, I hope you can make it there soon! Palermo Soho is one of my favorites too. I loved living in or near this neighborhood. If we were to move to BA this is most definitely where we would live. If outside the city, than we’d be in San Isidro. Hahahaha yes it’s a good idea to hide your credit cards in PS. I want to go with you and your family and Emma!!! Would love to go with a bsas expert in the search of the best dulce the leche!! I wish that the flight was shorter!!! OMG that would be so much fun going on a DDL tour with you! You know I share the Palermo Soho love. Such a relaxed, stylish neighborhood. I know, you’re my Palermo Soho sista! Wonderful photos, Andi! Buenos Aires is definitely on my list. Thank you so much! Yes, that crepe was amaaaaazing!!! Boy do I wish I could travel with you lady! Ditto! We would have so much fun together!!! This looks beautiful! I must admit that I haven’t seen a whole lot of pictures of Buenos Aires and therefore had no previous knowledge about the city, but if it looks like this, it sure is worth a visit some time in my life! There seems to be something wonderful rustic, though trendy about this barrio! palermo soho is actually my favorite barrio in bsa!!! It’s definitely one of mine! Wow, this is gorgeous. Argentina is on my bucket list of places to go. Thanks so much dear! Oh how I hope you can make it there, it’s so beyond amazing!!! Haven’t been to Argentina since I was way little, so don’t remember what I liked, but this barrio looks great, love the photos! Thanks dear, I have a feeling you would LOVE this barrio! Oh my goodness! It’s sooo beautiful!!! This post is wonderful and the photos are beautiful! I’m inspired. Oh, and I love reading about food and the thought of anything chocolate makes me hungry…chocolate lava cake has got to be divine, but dulce de leche crepe sounds just as good!